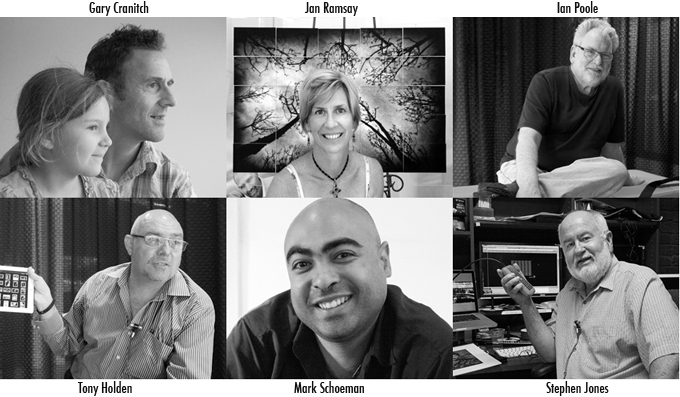 I’ve just asked 6 prominent Queensland Professional photographers “What will photography be like in 5 years from now?” Their answers I’ve assembled into a YouTube Video. Their answers give us a crystal ball glimpse into the future. As the clouds and mists swirl and part in the orb what emerges are visions that may just help us prepare for what’s in store. The photographers were: Jan Ramsay (AIPP Queensland Division – President and Eyeon Photography), Ian Poole (international professional photography judge and presenter), Gary Cranitch (Photographer – Queensland Museum), Stephen Jones (Photography – Arana Photography), Tony Holden (photo-equipment representative – C.R. Kennedy), Mark Schoeman (wedding and portrait photographer – Brisbane). SEE THE VIDEO: Click Here!! This project was supported as a SQIT Release to Industry activity and the Photographers of the Great Divide. Thank you to the participating photographers. Ever since you conducted the interview Doug, my mind has been constantly revisiting the topic “where will photography be 5 years from now.” Life is constantly changing and we eventually accept change but it is then up to us how we run with change. Thank you Doug for making us ‘think’ as you do so well.